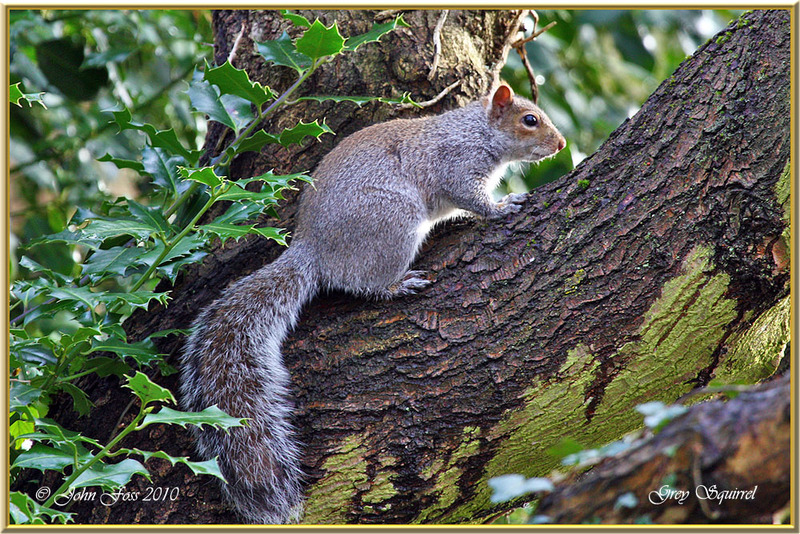 Grey Squirrel - Seen all year round. 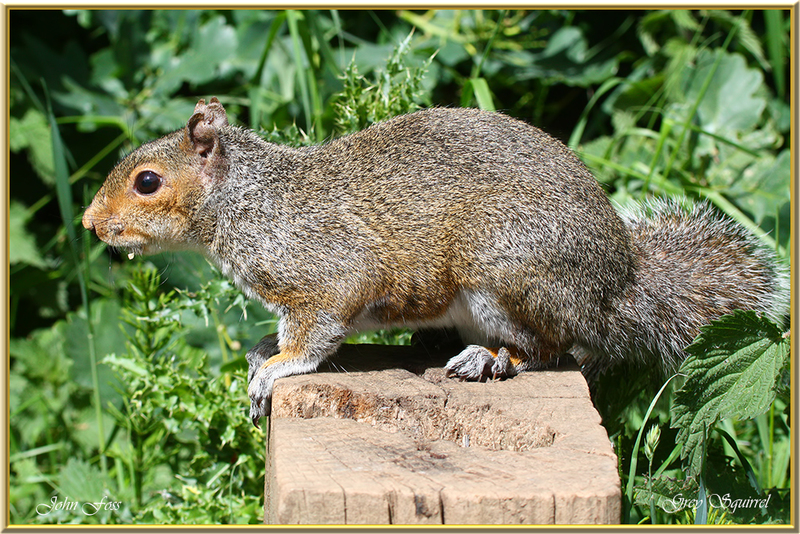 The Grey Squirrel will frequent anywhere from large parks and woods to small urban gardens. 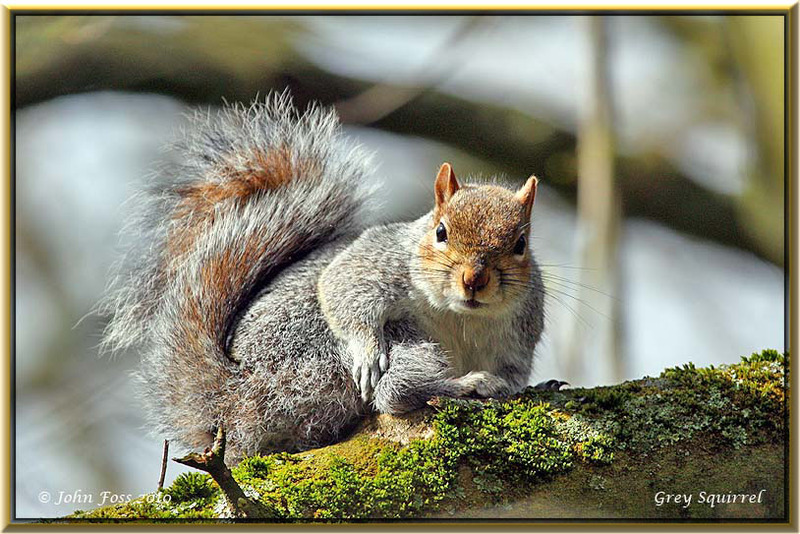 Introduced into Britain at the end of the 1800's from north-east America. 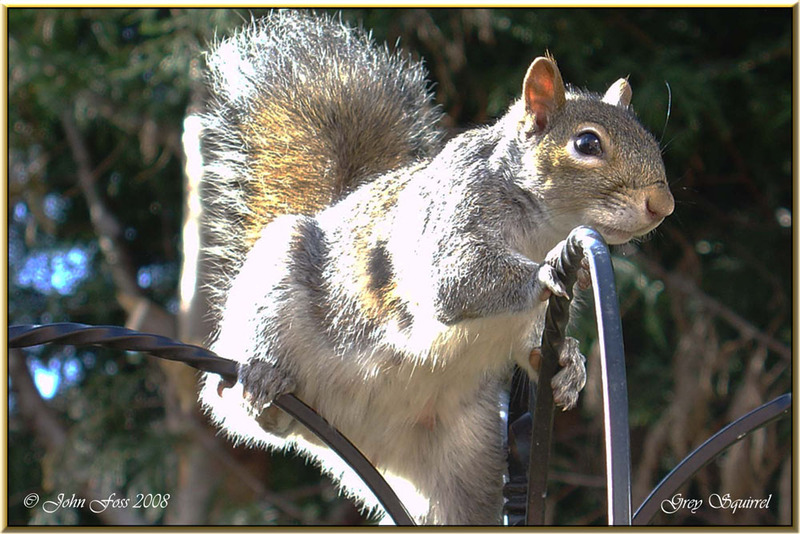 They can be threatening to the native Red Squirrel. 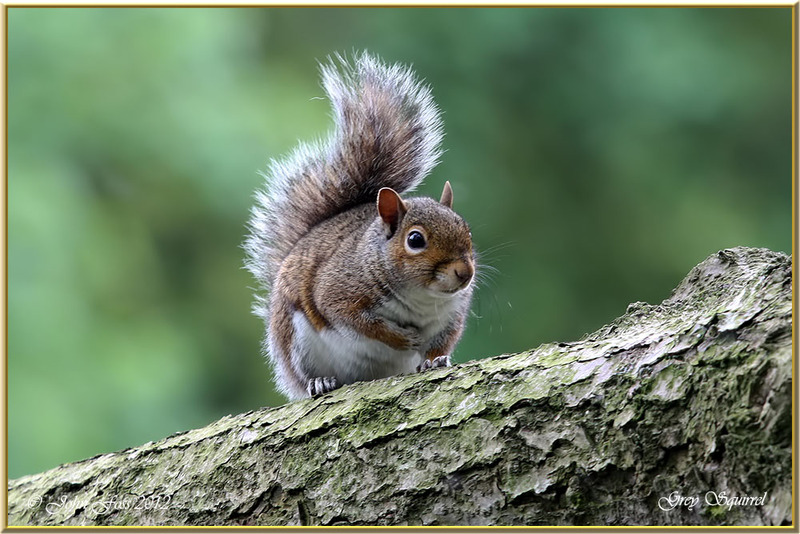 The Grey Squirrel can feed on many foods from the forest floor whereas the Red Squirrels feed selectively and so are deprived from some of their natural sources. 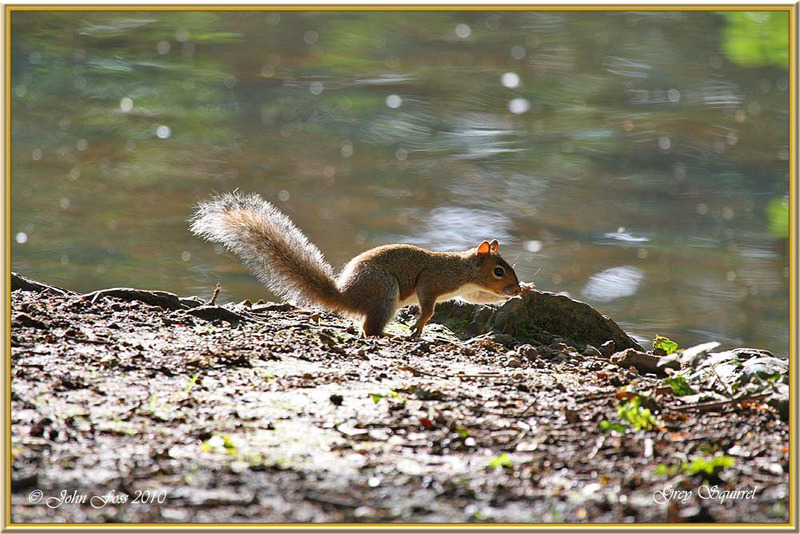 Photographs are from Hilton and Allestree Lake Derby.